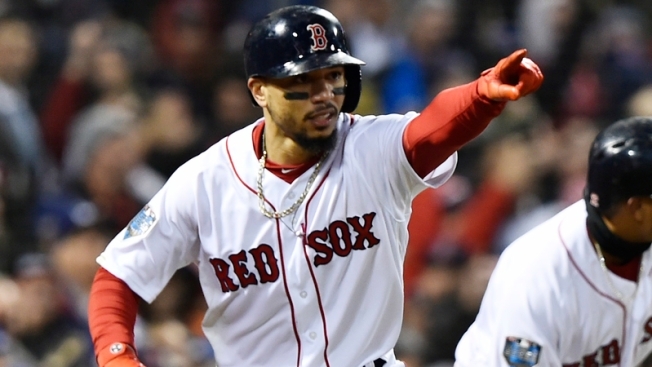 Mookie Betts used more than his bat to win the 2018 American League MVP award. You see, the Boston Red Sox right fielder also has three Gold Gloves to his name, and he flashed that leather Saturday night in Seattle. In the third inning of the Red Sox's game against the Mariners, Betts raced after a Domingo Santana fly ball and hauled it in with the tip of his glove for a classic "snow cone" catch. That's about as sweet a snow cone as you'll see. Expect plenty more catches like this from the Red Sox's outfield, which between Betts, Jackie Bradley Jr. and Andrew Benintendi should be a highlight machine in 2019.